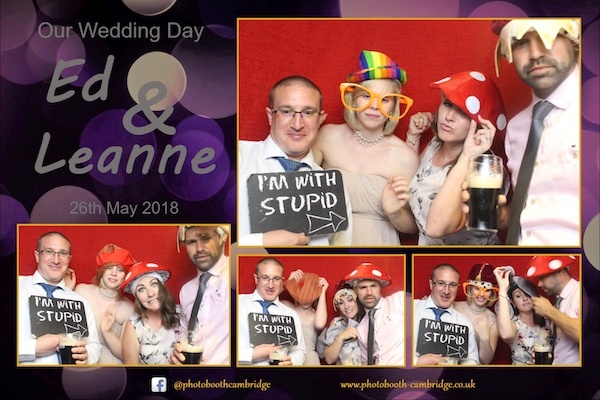 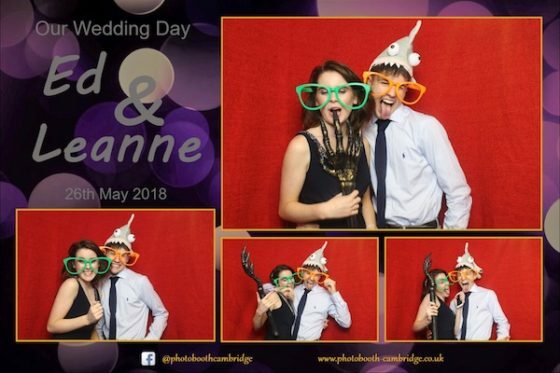 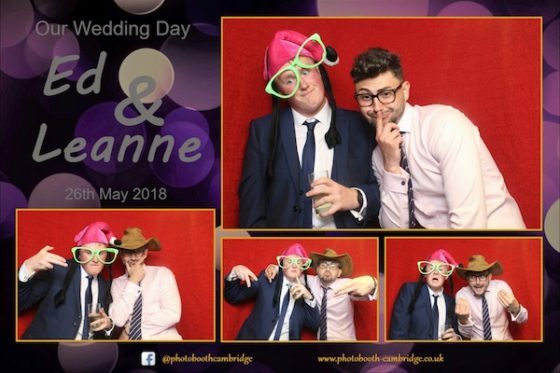 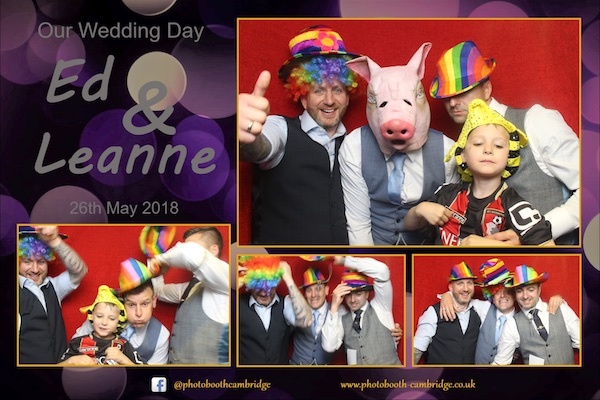 We took the photo booth to a very local venue to us, Bourn Golf Club, where Ed and Leanne spent their spacial day. 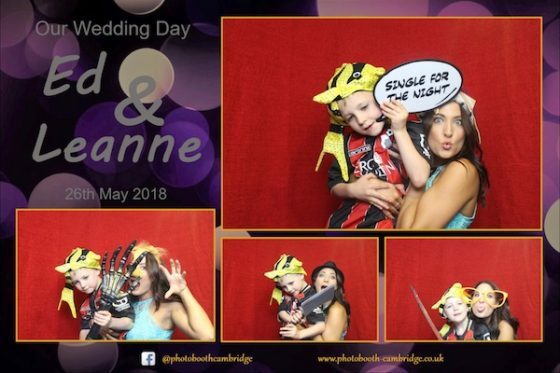 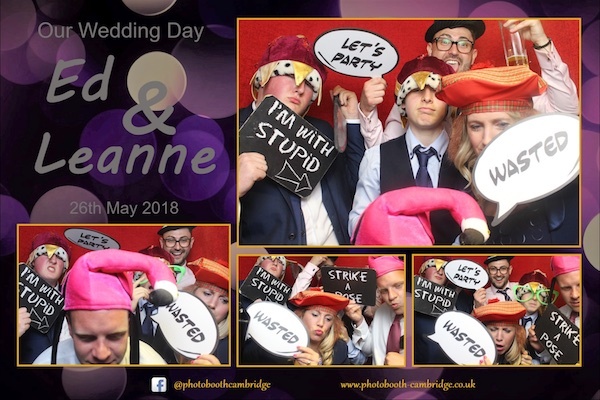 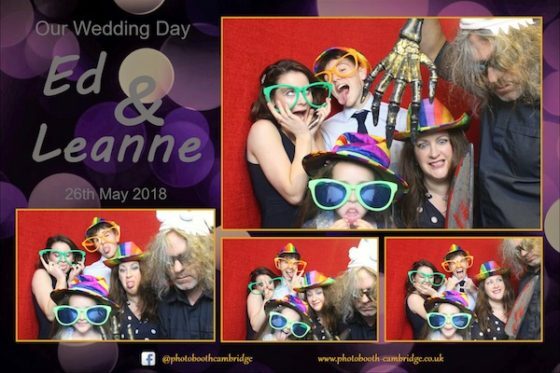 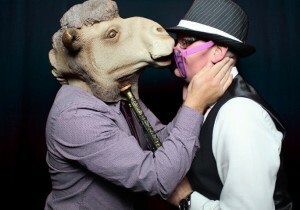 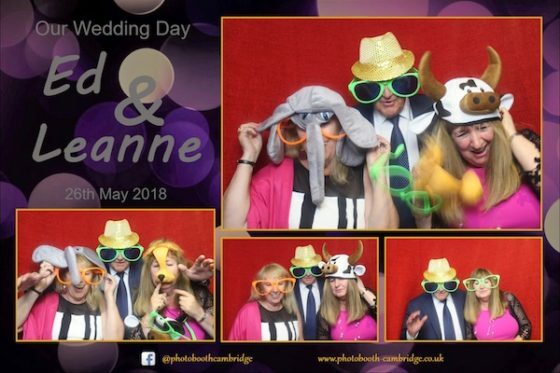 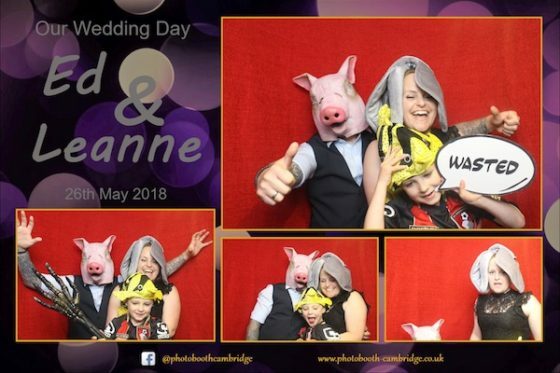 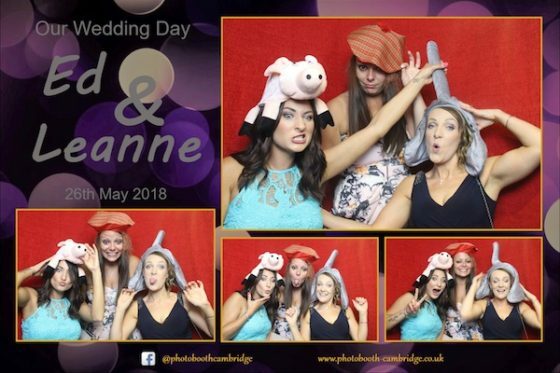 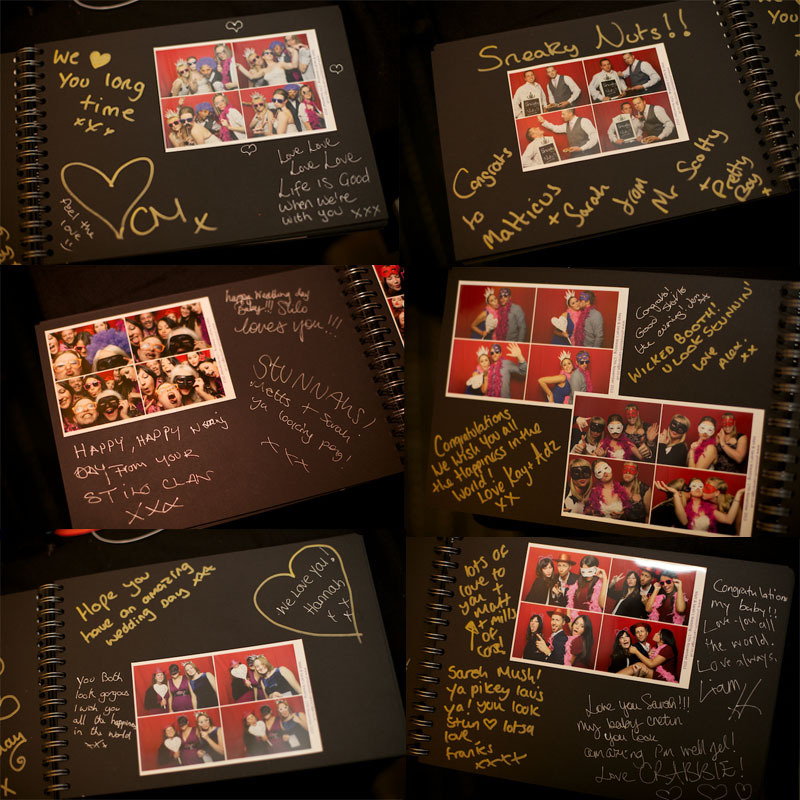 The photo booth proved once again to be very popular, and with the new props we had delivered the day before, lots of fun prints were taken away by the guests. 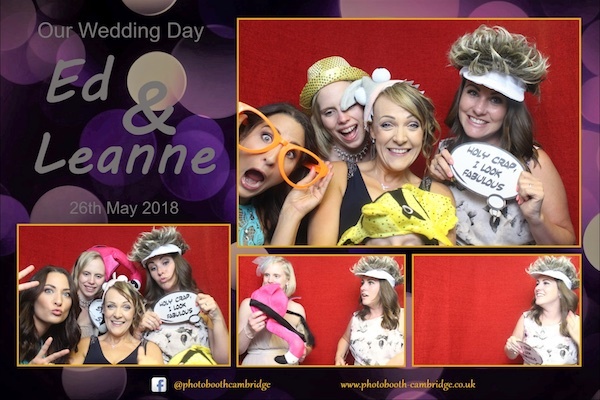 If you are looking for a photo booth for your wedding, party or event, please get in touch, we would love to hear from you. 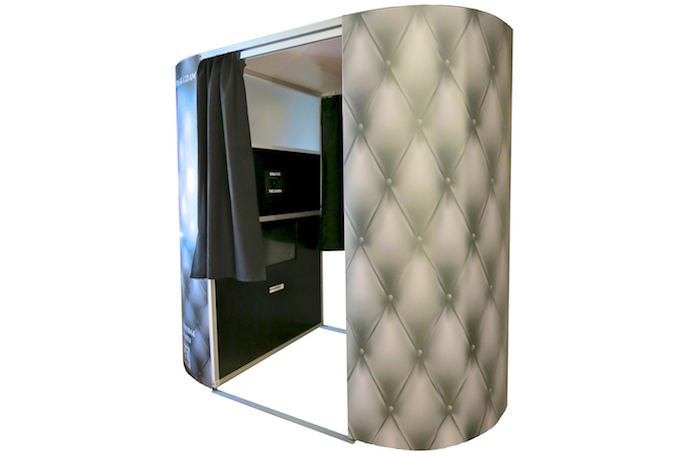 Our hire costs start from just £295.